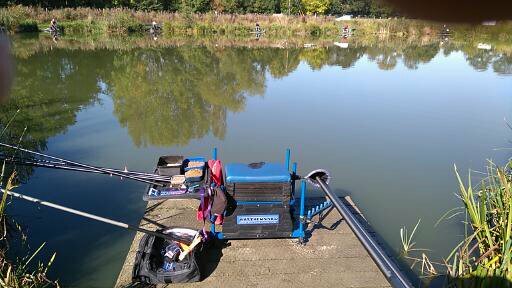 I had somehow managed to sneak into the five man Matrix team which was contesting this event today after fishing Weston for the previous few weeks they must have felt my experience there would help them i wasn’t to sure though, it was my first attempt at proper team fishing i had done a few angling times supercup rounds over the previous few years but nothing like todays match their was 16 teams here and some proper good anglers including most of the Welsh national squad , the points would be decided by sections and not your final place on the lake with five waters in the draw bag your team could place anglers on each of them and i ended up on Weir which i was a bit surprised about as i had not fished it before but i was looking forward to the challenge . At 1030 we had to endure the Welsh national anthem before the draw started as you would expect the Matrix team had a couple of good draws the odd bad one and i was on peg 17 usually a reasonable area but after looking at yesterdays results i felt i was a few pegs away from the main area of the lake , after wishing the rest of the lads good luck i headed off to my home for the next few hours and on arrival it looked really nice with two long margins plus plenty open water to target but the good thing about Weir is that every peg is the same so in theory it should fish the same although the down side is with everything being equal the weather would have a big impact on were the fish would be most comfortable and those anglers further to my right with their backs to the campsite had plenty sun on the water . Margins both sides at four meters as it was only three-foot deep tight to the reeds i used a 4×12 malman speedy float which should withstand plenty pressure from the big fish that congregate in this area of the lake , my main line was 017 garbo this had a six-inch length of 014 garbo and my hook was a size 16 guru lwg . Six-meter line here i decided to use pellets so i used a 4×12 malman roob float which had a spread bulk just above the six-inch garbo 012 hook length and my main line was 014 garbo the hook was a size 18 matrix bagger hook . 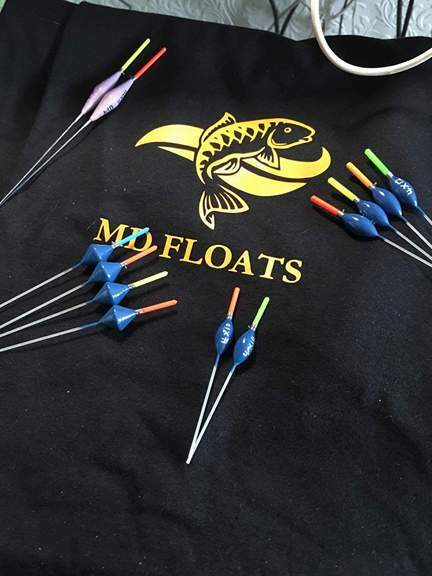 Thirteen-meter line here i choose to use maggots so i used a 4×12 Jeefs joof float which had a carbon stem my shotting pattern was a bulk and two droppers , i used 014 garbo main line and a 012 garbo hook length my hook was a size 18 matrix bagger hook . In the distance i heard the all in so i shipped out to my long line where i fed a small cupping kit full of maggots i planned on doing this every twenty minutes for at least an hour before going on to it after putting that in i went on to my six-meter pellet swim i deposited a kinder pot full of micros with the odd bigger pellet mixed in and i then lowered my rig among it , i purposely kept the rig still so as not to scare any fish that was in the vicinity and every five minutes i would ship back out to put some more pellets in i hoped that this would draw any passing fish into my swim . I was getting the odd sign to keep me interested especially as nobody near me was catching anything but it took nearly thirty minutes before i hooked my first fish but this was foul hooked and came off at the net , after another bite less ten minutes my float suddenly dipped and a sharp lift saw me attached to something decent as it headed off to the center of the lake this understandably saw my hook pull out and all i was left with was a scale about the size of a fifty pence piece not the start i wanted . I noticed the lad too my right had caught a fish out long so i decided to follow suit hoping that a few fish had settled on to my maggots that i had fed since the match started , almost instantly my float dipped with a 2oz skimmer coming to the bank but at least it had saved the blank and apart from a couple of lads opposite everyone was struggling for a few fish it was fishing a lot harder than i had imagined but after all the pressure of the previous few days i suppose it wasn’t unexpected . 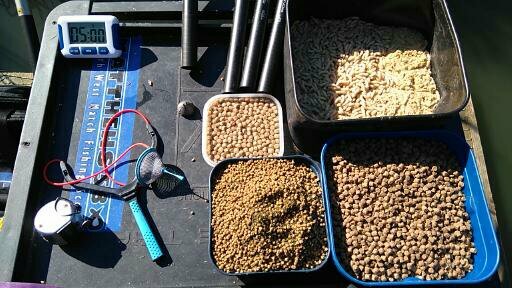 Eventually i managed a good run of ide which got me in front for the section but i needed to find a way of catching the bigger f1s+barbel if i was to keep in front today , i decided to set up another swim at the same distance to my left using pellets as i still felt that it would be the correct bait to use today and i fed it through a kinder pot but i didn’t have a single indication over it which i couldn’t get my head round . With two hours of the match remaining the bites from the ide faded so i decided to have a look at my margins which i had fed for the past hour while fishing long but as i had limited myself to a mainly pellet approach i wasn’t really expecting it to produce a great deal , no sooner had my rig settled than my float dipped under and i was hoping that it would be a proper fish but up popped a 1.5lb tench not bad but it wasn’t exactly what i was looking for no more bites followed from either side . As my long line was the most consistent i set up another line towards my right and i choose to feed through a kinder pot here basically just trickling the maggots in being really negative , after a couple of feeds on this swim i finally managed to pick up a better stamp of fish mainly barbel with the odd carp mixed in with this feeding pattern working sort of i changed my center swim to another negative swim this meant that i could rotate the two and i managed to keep putting fish into the net including a near 5lb carp right on the all out which was a nice bonus , i felt that i had done enough to beat the anglers either side of me but the positioning of the pegs meant you couldn’t really see what was going on so i wasn’t to sure . After packing up i had a quick chat with those in my section and we was all admitting to the same weight apart from one lad who was a Weston regularly i had seen him catch constantly most of the match so we was all aiming for second in section which will make things interesting , finally the scales arrived my net went forty pound this was only good enough for fourth in the section but seventh on the lake which would have been good enough for some decent points if they had done lakes rather than sections so yet again i had been on the wrong side of how they dished the points up , i also think that i had missed a trick by not fishing right in between my nets as a couple of lads who beat me had done really well fishing that way in the last forty minutes pushing themselves right up the section . 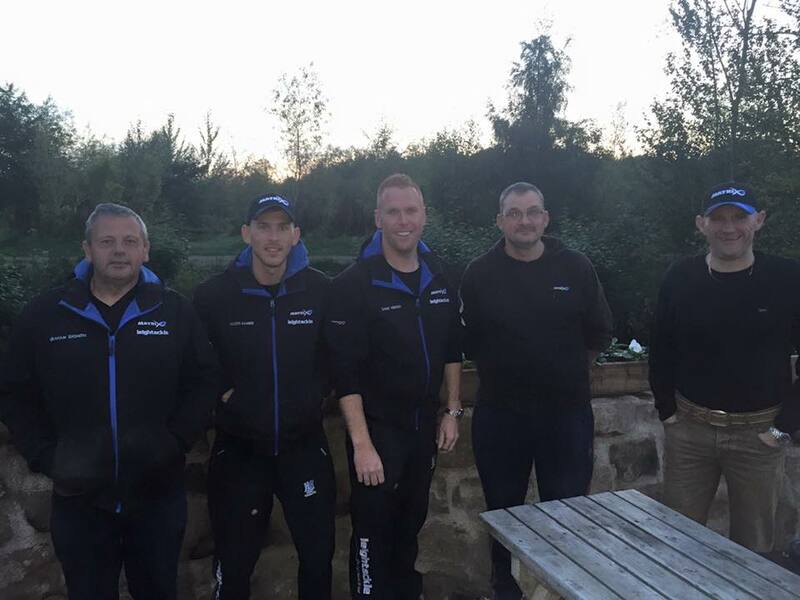 Well done too those taking part and helped in running the event everything went like clock work which is usual for here and i can’t wait to get back there next year as over the winter my attention will be turning to some f1 fishing at Partridge lakes now that it’s turning back to pellet work . This entry was posted in Weston pools and tagged Common carp, connahs quay, f1 fishing, Fish, Fishing bait, fishing shallow, garbo line, Maggot, malman roob, malmans speedy float, matrix bagger hook, matthews580, Mirror carp, Outdoors, Partridge lakes, Recreation, Super cup, tri-cast wales, weir pool, Welsh national, Weston pools. Bookmark the permalink.